If you want to play in the Trinity April Cup, sign-ups are free and happening right now! You can also join the Trinity Discord Server here for the latest news and updates for Trinity! Why did you choose to run your deck? What was your deckbuilding philosophy when making this deck? How did you prepare for the meta, and would you change anything going forward? How would you update your deck going forward? I chose to run this deck to make up for last month’s tourney, where I decided not to use zombies because TheCardRipper was already using them, and the mirror match is annoying. It was also because I realized I could only realistically use the deck at full power for maybe one more tournament, because a few of the powerful cards in the deck will/most likely will be hit by the banlist. This build is meant to play around the three best parts of zombies: Doomking Balerdroch, Vampires, and Shiranuis. Vampires revolve around paying lifepoints to proc their effects and they’re led by the boss, Vampire Fraulein. She buffs any zombie monster’s ATK/DEF by paying lifepoints. 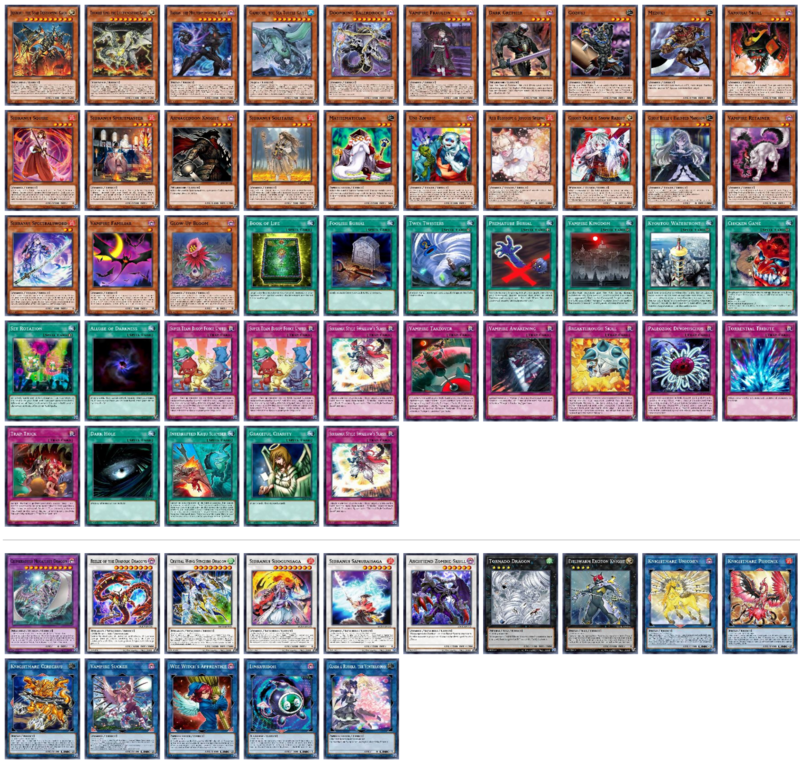 Shiranuis provided Extra Deck support in the form of zombie-type synchros that synergized really well with the deck as a whole, with their big boss Shiranui Shogunsaga sometimes winning me duels outright. Lastly, the big boy himself, Doomking Balerdroch, is a 2800/2000 monster with two absurd effects. Its first is that if a field spell is face-up, it will special summon itself from the GY during the Standby Phase. 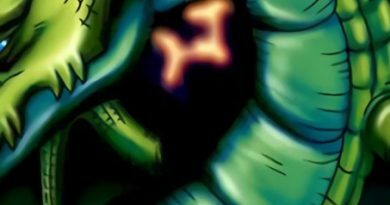 Its second effect is that if a zombie monster’s effect is activated, it can chain and either negate that effect or banish 1 monster from the field or the GY. Yeah, it’s as insane as it sounds. The main focuses of the deck, Balerdroch and Vampires, were easy to bring online with the 10 playstarters I ran. 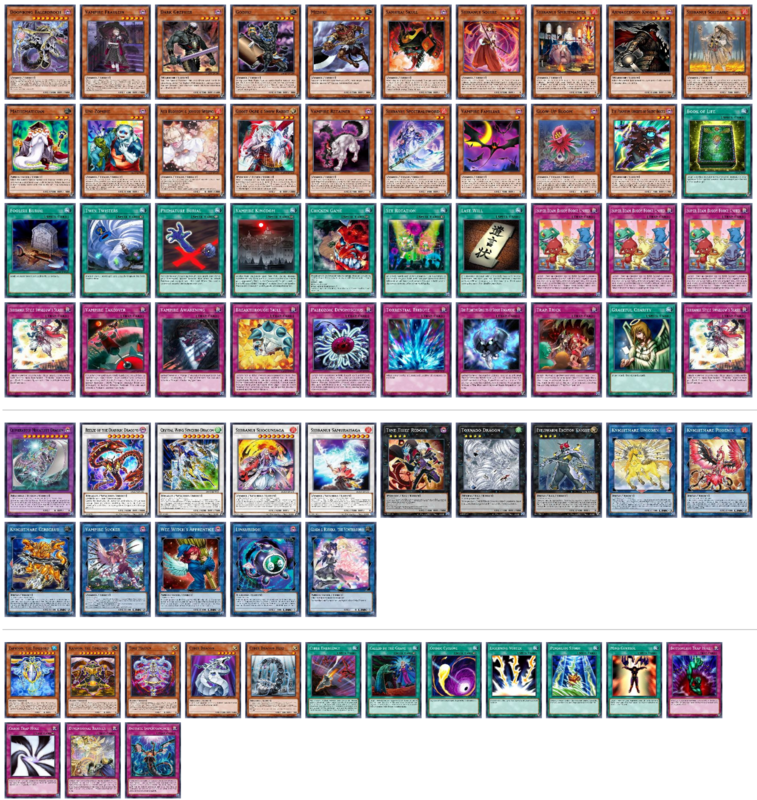 I also made sure to include plenty of GY revival to allow for reusal of cards like Balerdroch, Shogunsaga, and Fraulein. Besides that, the rest of the deck was meant to provide removal and interruption. 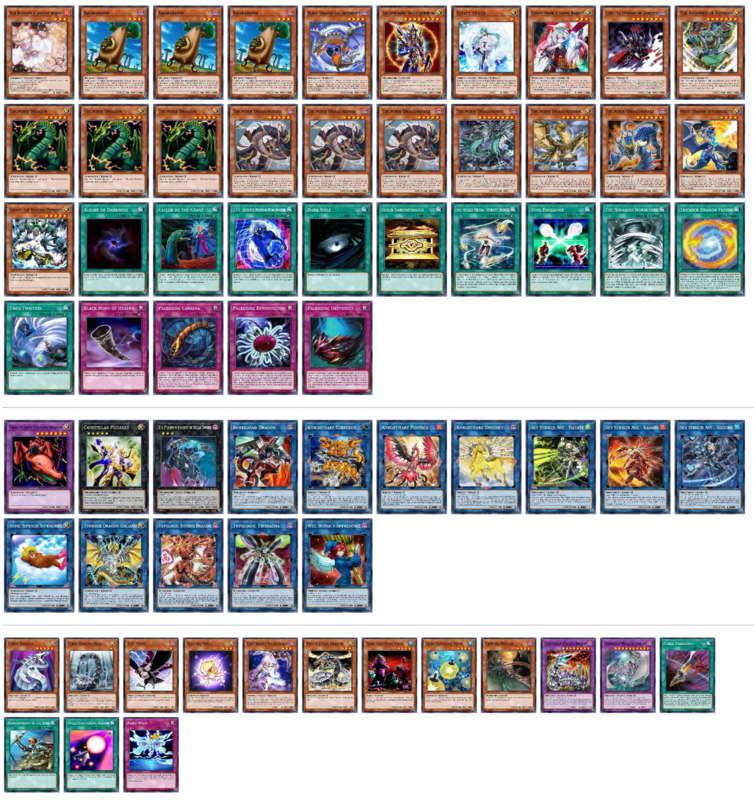 In the main deck, I’d have to say that D.D.R., Hidden Armory, and Danger Thunderbird were my favorite techs. D.D.R. allowed for revival of my zombies that were banished mby the massive amount of GY hate being ran. Hidden Armory also provided me ways to search Premature Burial and D.D.R., while also allowing me to reuse them. For the Extra Deck, I’m glad I listened to Prawnwizard and ran Crystal Wing Synchro Dragon. It helped me out a lot in my duel vs Guiltygear. For my Trinities, I chose Graceful Charity, Heavy Storm Duster, Lost Wind, and a second copy of Shiranui Style Swallow’s Slash. Charity is absurd in zombies, allowing for GY setup and giving 3 new cards to potentially work with. HSD and LW were the two most useful Co-Forbidden Traps for most of my matchups, so I made sure to include those. The second copy of Swallow’s Slash worked in tandem with Trap Trick, another tech card that allowed for access to Super Team Buddy Force Unite! and Swallow’s Slash. Also, Swallow’s Slash is literally a pop 3, so of course I’m going to run a second copy. For the side deck, my favorite techs were Network Trap Hole, Super Anti-Kaiju War Machine Mecha-Thunder-King, and Zombie Necronize. Both NTH and Necronize were ran for the zombie mirror, but the Kaiju, ooh boy. I only sided it in once (didn’t draw it), but it was entirely for the possible duel vs Prawnwizard and his zombie deck running Kaijus. 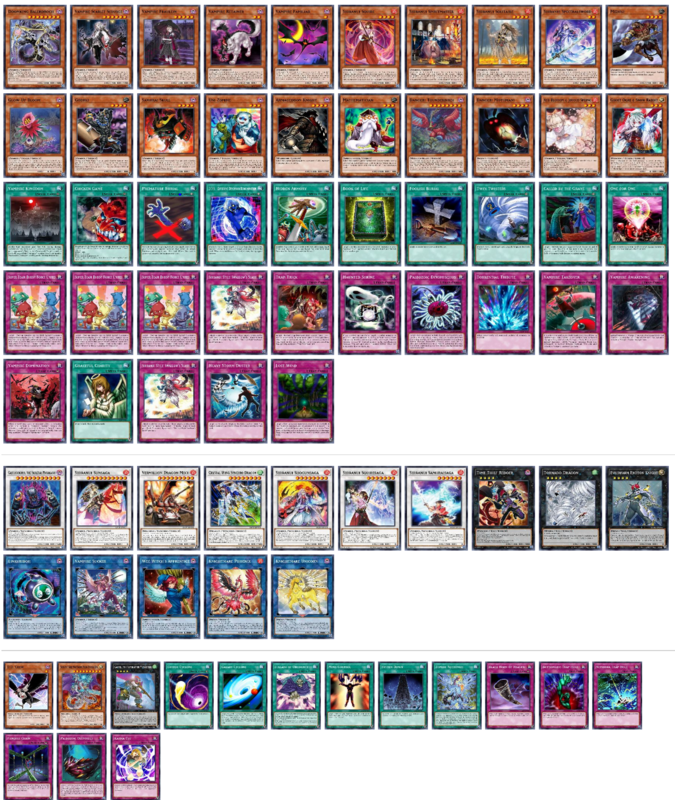 b) Swallow’s Slash requires a Shiranui monster in your deck to be banished, so while running multiple copies would be good, they would typically lose their usefulness as the duel would go on due to not always having Shiranuis in the deck to be able to resolve it. In all honesty, the only meta deck I was worried about was Zombies. Trains, Shaddolls, and Succession Goodstuff were all manageable, although I did side System Down for the Train matchup. In general, my side was mainly geared towards the mirror, with a few goodstuff picks for versing specific builds. The goodstuff was Cosmic Cyclone, Galaxy Cyclone, Black Horn of Heaven, Fiendish Chain, and Torrential Tribute. For the Zombie mirror, I ran D.D. Crow, Castel, Lullaby of Obedience, Mind Control, Zombie Necronize, and Network Trap Hole. b) If I ever needed field spells, I could either search Vampire Kingdom with Vampire Takeover or Vampire Retainer or let my opponent activate a field spell instead, while allowing myself to use that deck space on more useful cards. In all honesty, I’m glad that I went into the deck expecting the mirror. While my main deck wasn’t geared to deal with the mirror, it was built so that I wouldn’t be at a disadvantage. I ended up dueling versus four zombie decks, so I am thankful for my forethought. I also dueled Succession BA Dolls, Thunder Dragons, and Infernoid Goodstuff, which was a nice change of pace from the zombie mirrors. In hindsight, I felt like that the zombie mirror comes down to if you have an answer to Balerdroch and if you had the resources to beat down your opponent. The Succession duel I went into mildly tense, because if Subterror Succession got online and I didn’t have an answer to it, the duel would spiral out of my control. The Thunder Dragon duel was interesting since there was always the looming fear of the deck being able to pump out a bunch of damage. Lastly the Infernoid duel was more or less me hoping I had a way to duel without relying on my GY. In the future, after Balerdroch gets banned and Graceful Charity possibly gets hit, I’m given multiple options. 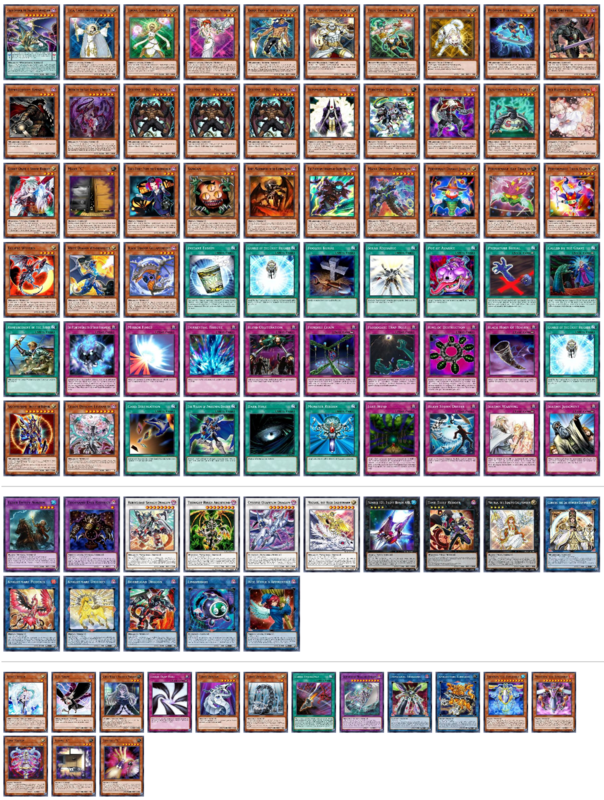 I could keep it at 45, and either run a copy of something like Mezuki, or run 2 Co-Forbidden cards which would likely be of either Psy-Framelord Omega, Card Destruction, Dark Hole, Pot of Extravagance, or one of the Solemns. 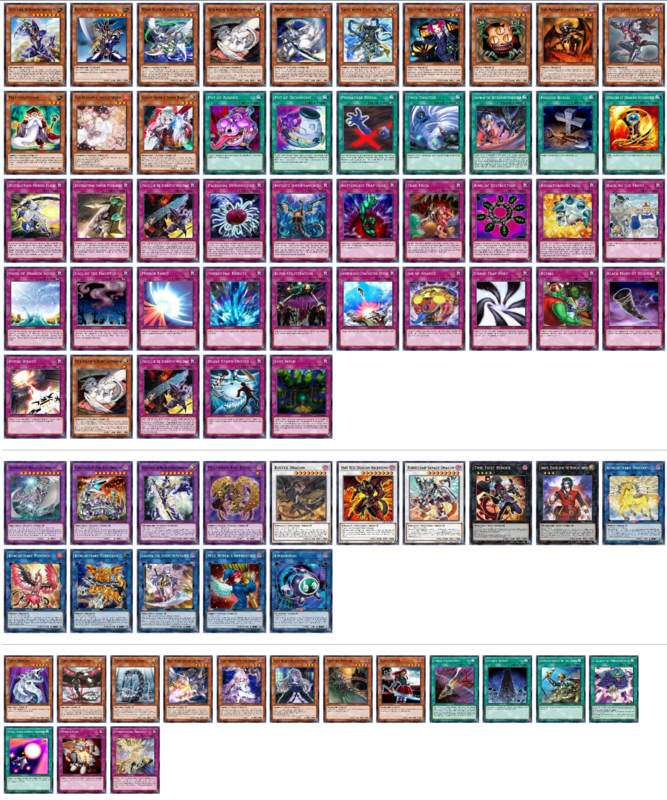 I’d also add Cyber Dragons into the side deck for the Traintrack matchup, along with running Beelze of the Diabolic Dragons. All in all, losing Balerdroch would hurt, but zombies possess more than enough resources to make due. I have previously played Infernoids in Trinity so, I thought for this tournament I would try them out again. The last time I played Infernoids I did it as a combo deck that turbo-ed out Void Feast. Though with this iteration I wanted to have a lot of good cards that helped out-resource my opponent rather than losing when my combo gets interrupted. This change in philosophy resulted in me not running most of the Void spell/traps and instead using my trinities on cards like multiple Decatrons, Fairy Tail – Luna, and Solemn Strike. I played one Sky Striker Raye, Drones, Afterburners and Jamming Waves. The Sky Striker links give tremendous advantage when paired up with Raye. Afterburners and Jamming Waves are also decent cards on their own. 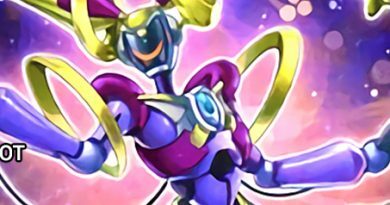 The Sky Striker cards (while they clash with some other cards) are good cards and I like playing good cards. 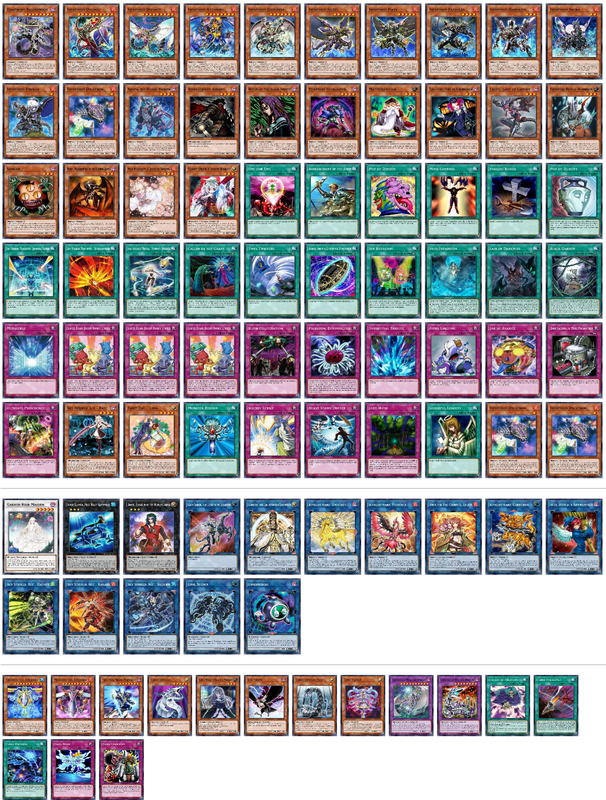 I played an extended Tour Guide engine of Tour Guide, Sangan, Scarm, Lilith and Fiendish Rhino. Rhino was very good since it could give protection to other fiends while sending either Scarm or any Infernoid to the grave. I played a suite of Field Spells in my build. They go against the philosophy of my deck because most field spells are bad cards. With that being said, Lair can often win you game. 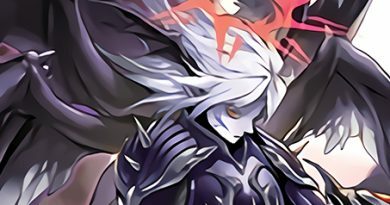 Black Garden is my favorite Yugioh card with both a unique effect and amazing art. Even though it doesn’t synergize with my deck, I wanted to run it. Since it was obvious that the Zombie Strategy was going to be well represented and overly strong, I main decked Balerdoch. If I got it out at the right time, it could win me the game. My side deck was a bit of a mess and with playing 60 cards I drew into my side cards less than I would want so, it didn’t matter that much. Redoer and Balerdoch might get hit in the future, so replacing them will need to be done. However, they are both not important to the strategy of the deck, so you can replace them with anything. 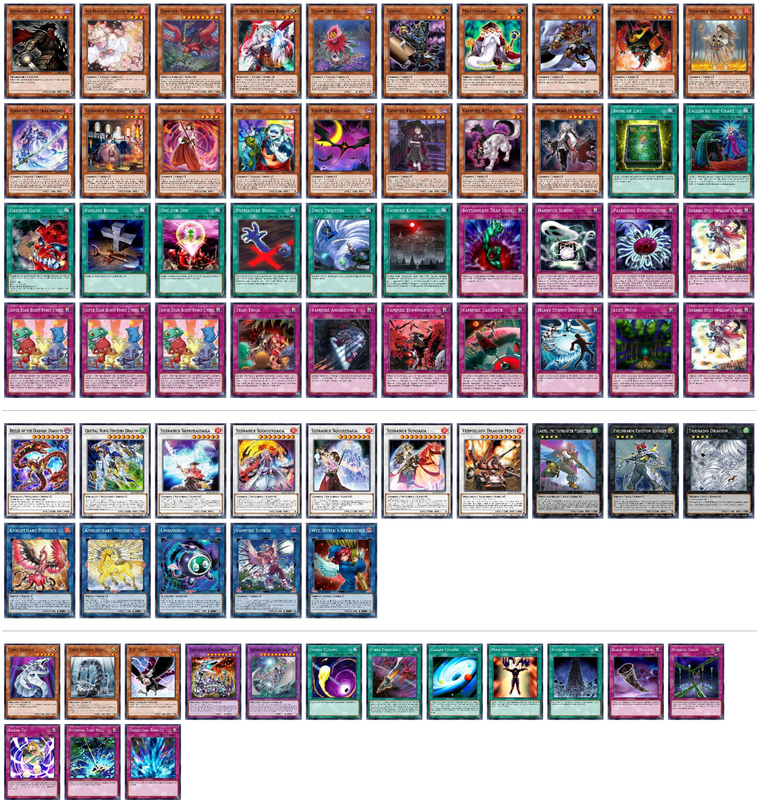 My biggest regret from my list was that I did not play Knightmare Gryphon in my extra deck. I played it in testing and it preformed amazing, but due to last minute shuffling of my extra deck cards it got the boot. If I played this deck again, I would 100% have it in the extra deck. Zombies are the best deck in the meta by a good amount and also the most fun. Baler is a ridiculous card and even without it the deck can do a lot of insane plays. No real bad matchups in the meta either except maybe Infernoids. Turbo Balerdroch and Fraulein as fast and consistently as possible. 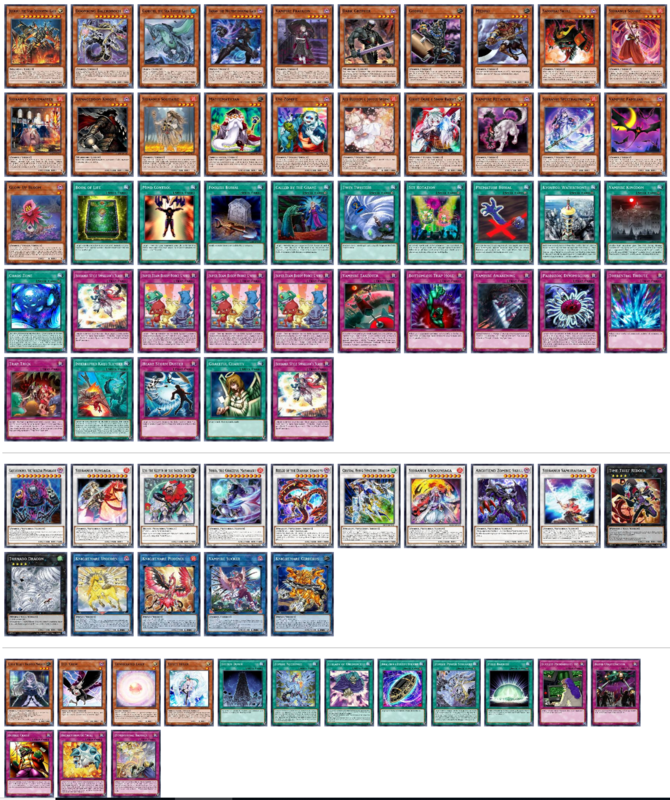 The Kaijus are the major thing separating my deck from all the other zombie lists. I strongly believe Kaijus are the optimal splash for the deck with our current meta. All other trinities are standard for zombies. Dora, Redoer and Baler are all cards that need to be dealt with as fast as possible without summoning or activating any other cards first if possible. Kaijus are the only cards that can do that. 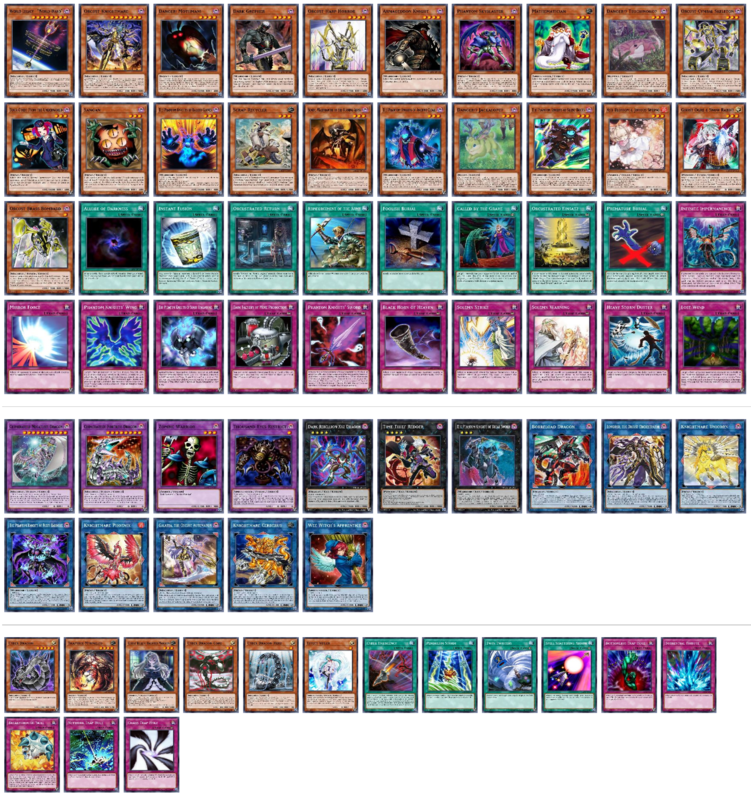 In addition, Zombies uniquely are the best deck for efficiently dealing with vanilla beaters because of Fraulein. Waterfront also has amazing synergy with Baler because it protects itself. Well I didn’t drop a single game to any non-Zombie deck. Ended up getting both of my match losses to Burritos, although that could just be chalked up to him drawing Charity and me not drawing it. I think a competent zombie player should really never lose a match to a non-zombie deck, especially if you’re running Kaijus. I was having a hard time settling on something to play. Thankfully, three minutes before the deadline, talentless hack and Skeletor of Trinity Format Prawnwizard suggested I play Zombies. I did about three rotations with the deck before I realized this was the biggest game-changer since sliced bread (which famously upended the bread meta until it was banned in 2002). I took a slightly different approach to Zombies when building my deck. Unlike my undead peers, I wasn’t convinced the “Balerdroch Turbo” plan was consistent enough to one-trick, nor was I convinced Vampire Fraulein was a reasonable backup strategy. As a result, I played a number of cards that took advantage of Time Thief Redoer, in order to hedge my bets against brick hands and steal games off of rogue decks with well-positioned matchups. Ultimately, I think I should have listened to the other Zombie pilots – Balerdroch isn’t JUST good in the mirror, he’s good everywhere, and a lack of consistent access lost me games for sure. Redoer was amazing when playing against rogue decks, but isn’t particularly good in the mirror, where additional access to the Balerdroch line shines. I very slightly modified TCR’s championship list from the February 2019 Cup in order to play fewer cards. Whoever keeps shouting “play 45 cards,” show yourself, coward. I will never play 45 cards. I definitely should have included more playstarters in the board so I could effectively board for the mirror. Prawnwizard is also playing Kaijus, which were extremely effective both in keeping a field spell onboard and removing enemy Redoers. Dark Hole and Interrupted Kaiju Slumber seem insane right now, so I’d splash for them as a co-pair for sure. Round 1 was against Caroman, playing Cydra PK Spellbook. This list was sweet, but wasn’t proactive enough. Round 2 was against meepmoto27, playing Zombies. I don’t remember much about these duels but the stench of death. Round 3 was against anju, playing World Legacy. This list is legitimately terrifying and definitely real. Round 4 was against AlphaKretin, playing Orcust Bardiche. I scraped through some close ones. Round 5 was against World Legacy Burritos, who drew much better than me, though it helps to have a deck that’s built well. My quarterfinal was against AlphaKretin, again, and it was 3 of the closest games of Trinity I have ever played in my life. Really, check out the replay. They’re swingy, entertaining, and engaging. My semifinal was against Wuh Train, playing Infernoids with the hottest anti-Zombie techs in the universe. He Balerdroch’ed first 2 games in a row. I also lost the third-place match to Prawnwizard on the back of a DEVASTATING Interrupted Kaiju Slumber. This one’s a little difficult, since I don’t know how much of this deck is making it through the banlist. Provided Redoer is banned and Balerdroch survives, this is what I’d play. So I chose to play Thunder Dragon because it has a really good aggressive play style, it’s really easy to play, and you can usually thin your deck down so that you always draw your non searchable cards. I teched Ascended of Thunder because it’s a free beater that can be searched with Fusion. I sided the Vampire Hunter package because it can remove Fraulein and is really good for just shutting down a lot of dark decks. The two things to remember when playing Thunder Dragon is to always leave a light and a dark, and always go second. The deck can almost always access a BLS or a Dragonduo. It can bust boards wide open, but it has really weak boards itself. I picked Buster Blader because I thought it gave me a leg up against mono type decks, with the possibility of locking them out of the Graveyard or Extra Deck, the former being good against Zombies. I ran Trap Trick because it gave me an extra Prologue of the Destruction Swordsman. I would remove this going forward, considering I already have enough copies and drawing Prologue makes Trap Trick dead. I would definitely find a good archetype to mix with Blader, as having only Destruction Swordsman just… isn’t a great idea. The deck’s supposed to be really strong and that’s probably correct, but the only reason I play it is my obsession with the Orcust archetype. Side cards and staple choices are rubbish – I overreacted to Trains and completely forgot to prepare for Zombie. Don’t underestimate Break Sword.